West Yorkshire Police has released its new spring/summer burglary awareness campaign. 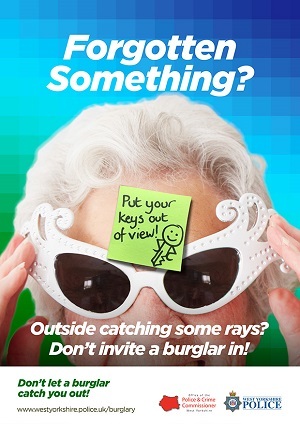 They issue these types of campaigns twice a year (spring and autumn) to make people aware of the risks and take steps to improve their home security. 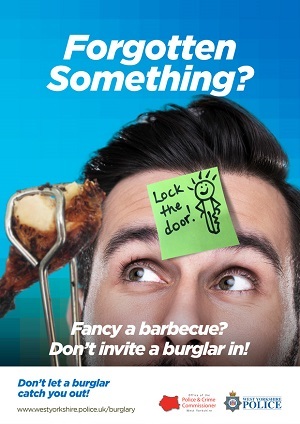 This year, the spring campaign is themed by the question ‘Forgotten Something?’ and refers to the fact that many people forget to do simple things like lock their doors or move valuables away from the windows. 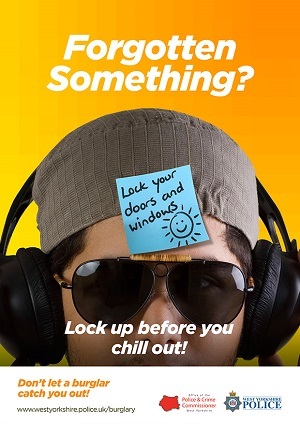 The campaign uses Post-It style notes to serve as a visual reminder to remember to take these easy measures, that don’t need to cost a lot of money, to prevent a break in. 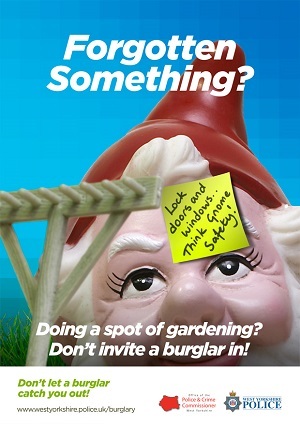 The biggest home security risk when the weather gets nicer and the evenings longer, is leaving doors and windows open and spending time out in the garden where it could be difficult to hear someone entering the house. You can see the full range of advice here. All too often in the summer we want to get home from work, throw our things in the doorway and get out in the garden to make the most of the longer evenings but just stopping for a moment to keep our handbags, phones, car keys and laptops away from entrance points to the house, close and lock doors and windows if we’re not going to be in that room and just make sure keys are well out of the way of letterboxes and cat flaps. Nothing would spoil a lovely summer’s evening like coming back in from the garden to find someone has been in your house and helped themselves. It’s always worth checking that locks are sufficiently secure and that your burglar alarm is in full working order so get in touch if you need any assistance with that. Above all, enjoy the summer and don’t allow forgetfulness to spoil it. previous What impact does burglary have on victims?